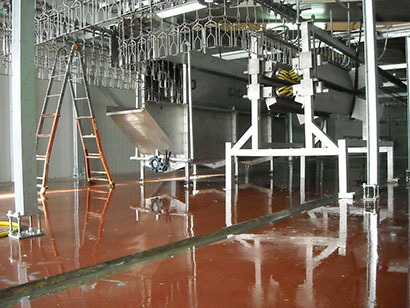 AVImpianti is an Italian company specialised in the sale and maintenance of poultry processing systems. Our team of skilled professionals has been working in poultry industry for more than 25 years, gaining the competence to ensure our clients with options that best fit their needs. Our company's flexibility has allowed us to work both in Italy and abroad. We strongly believe in innovation and in technological research and that's why our main goal is to to provide solid and technologically advanced systems. Avimpianti's near future aim is to cover a first importance role as a partner in the poultry industry by offering its expertise and resources in order to achieve brilliant and effective outcomes.